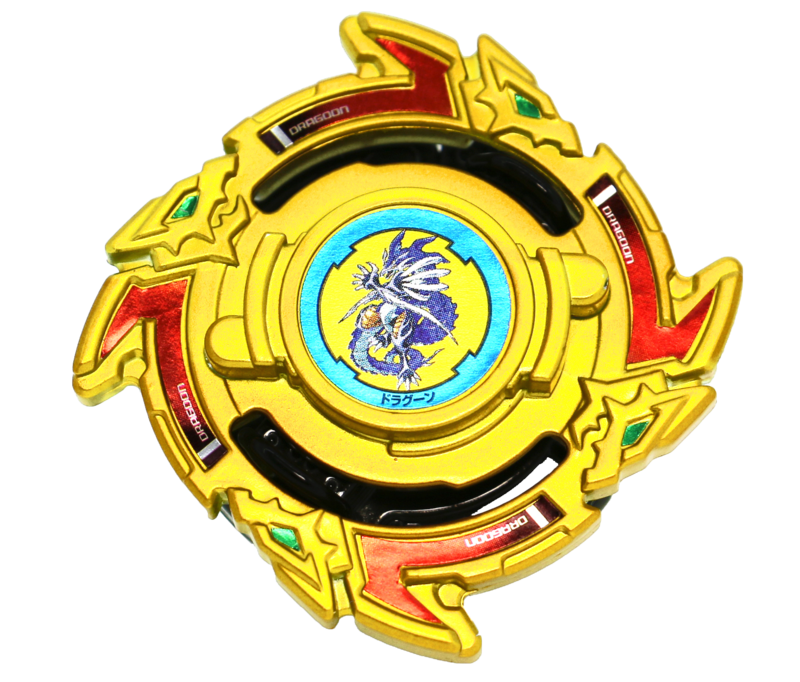 Round Result Clarifications: Bladers must now refrain from touching their Beyblades until the judge has announced the winner of the round. 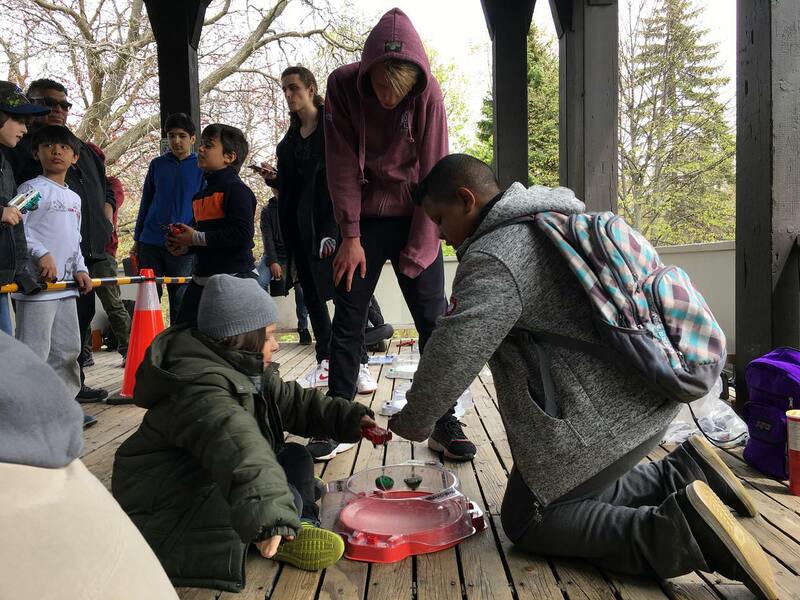 In Burst Format specifically, judges must inspect the winning Beyblade to ensure that it is not in a position where it has skipped all of its teeth and should have bursted. If this is the case the result of the round is reversed and the “losing” Beyblade is then considered the winner of that round. If it is found that a Layer has skipped all of its teeth and did not burst after the conclusion of a round, the player using that Layer must then replace it with another version of the same Layer. If the player cannot do this, they are given a match loss. This rule is being introduced primarily to combat the known issues with some Dark Deathscyther Layers (like B-61 blue/yellow D2s and the BG-05 red D2) and the new Mad Minoboros Layer, however the rulebooks do not explicitly mention these Layers because this rule is meant to be applied universally for the sake of consistency. Bladers and spectators must also refrain from announcing their own opinion after each round until the judge has rendered their decision. Participant Capping Clarification: We have clarified in the Organizers' Guide that capping the number of participants on your event is not permitted for the sake of inclusiveness to all WBO members. This means that you may not intentionally host Club Format events currently. We will explore the possibility of allowing for Club Format events to be hosted intentionally in a limited number, so please stay tuned. Tiebreak Battles and Credits Clarification: We clarified that the battles won and lost for tiebreak battles do not count towards the final overall record used when determining if a blader will receive the majority win Credit or not. This clarification is included in a rather extensive section we added to the Organizers’ Guide outlining the rules for Credits for Blader Rewards in WBO Organized Play events. Club Format Victor Clarification: We added in clarification stating that the victor of a Club Format event in Unranked Round Robin Deck Format is determined by the final overall records at the end of the round robin. There is no finals technically speaking, unless there is a tie for the top spot at the end of the round robin (this also applies to the Winning Streak Format). See the descriptions below or the Organizers' Guide for more details. Repeating Faces and Zero-G/Shogun Steel Chrome/Warrior Wheels in all Metal Fight Deck Formats: We clarified that using the same Regular Face or Stone Face multiple times within your Deck for all MFB Deck Formats (MFB, Limited, Zero-G) is OK. Metal Faces and Metal Stone Faces of all kinds may not be repeated. Zero-G/Shogun Steel Chrome/Warrior Wheels may be repeated, but within the same combo. All Rulebooks - Round Results Wrote: After each round, bladers must refrain from touching their Beyblade until the judge has announced the winner. Both bladers and all spectators must also refrain from influencing the judge’s decision by announcing their own opinion before the judge has rendered theirs. 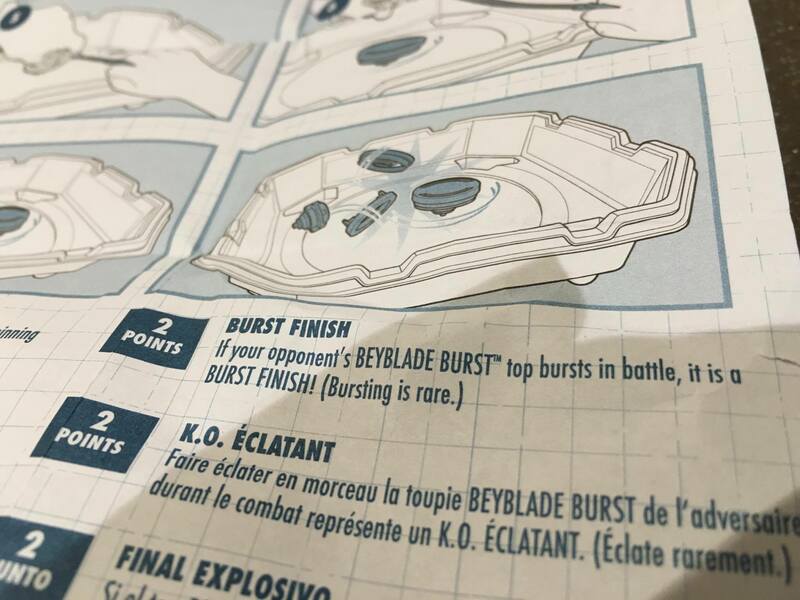 Burst Format Rulebook - Round Results Wrote: After each round, bladers must refrain from touching their Beyblade until the judge has announced the winner. Judges must inspect the winning Beyblade to ensure that it is not in a position where it has skipped all of its teeth and should have bursted. If this is the case the result of the round is reversed and the “losing” Beyblade is then considered the winner for the round. If it is found that a Layer has skipped all of its teeth and did not burst after the conclusion of a round, the player using that Layer must then replace it with another version of the same Layer. If the player cannot do this, they are given a match loss instead of a round loss. Both bladers and all spectators must also refrain from influencing the judges decision by announcing their own opinion before the judge has rendered theirs. Organizers Guide - Participants Wrote: Most WBO formats require a minimum of eight participants. Before you schedule a tournament, you should have confirmed interest from at least eight people. However, if at least eight participants confirm, and then less than that show up, you can still host Club Format with between 4-7 participants. See the "Special Formats" section below for more details. It is not permitted to place a cap on the number of participants in any event. Organizers Guide - Club Format Wrote: In the event that less than eight players show up for an event, this format allows for groups of 4-7 Bladers to play in free-to-enter, unranked tournaments. Prize reimbursement is not provided for these events, but the winners of each event have an opportunity to earn a Credit and a series of special Club Format Bits. Organizers Guide - Club Format Wrote: Unranked Winning Streak Format: Players line up and compete is single round BeyBattles (one at a time) for 20 minutes. After the first round (match up is determined by BeyRank as described below or randomly), the winner stays at the stadium, loser goes to the back of the line and the winner plays the next person in line. 30 seconds maximum for both players to choose combinations before each round. At the end of the 20 minutes, the player with the most round wins is the victor. If there is a tie, a final playoff tiebreak match (best 3 of 5 using standard WBO tournament match rules) will be played to determine the victor. Unranked Round Robin Deck Format: Each player in the event plays each other once using the regular Deck Format rules specified here in the Organizers’ Guide. At the end of the round robin, the player with the best overall record is the victor. If there is a tie, a final playoff tiebreak match (using standard Deck Format rules) will be played to determine the victor. 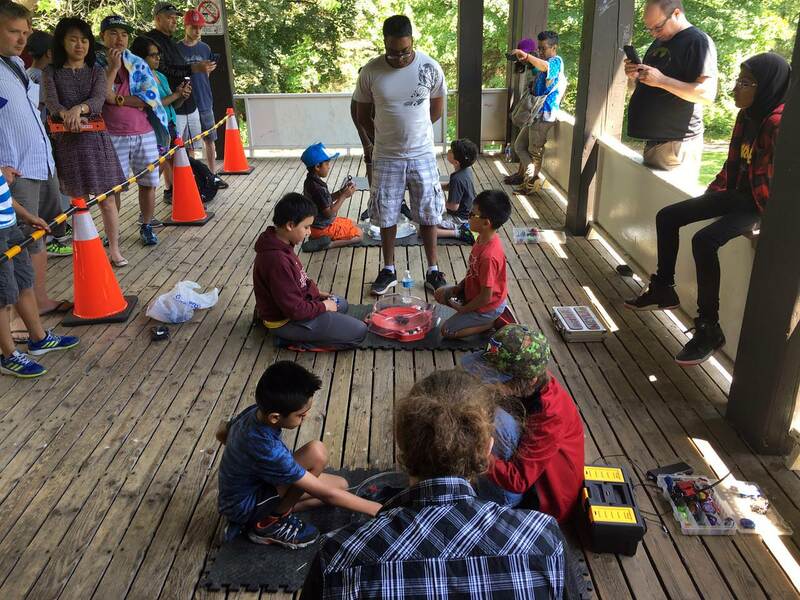 Organizers Guide - Credits Wrote: Credits are our way of rewarding Bladers for participating in or hosting WBO sanctioned events in their communities. 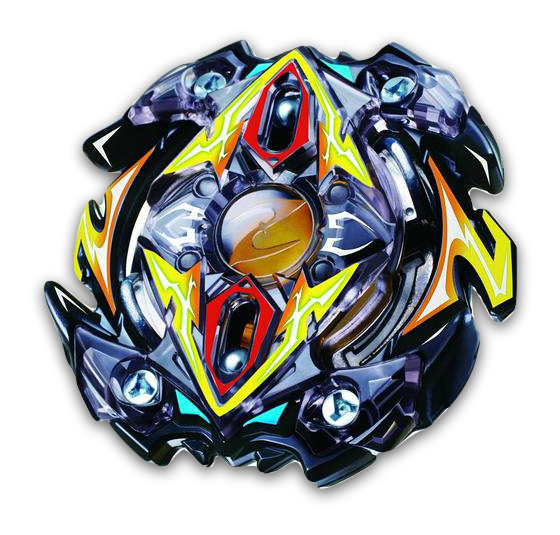 Bladers can trade their credits in for various rewards, like Bit Boosters and physical Beyblade prizes! Bladers can only earn a maximum of eight credits per week. Any credits earned above that will not be counted. This restriction may be lifted during special events, such as BeyDays. Battles won or lost during tiebreak battles do not count towards the final record used to determine eligibility for the Majority Win Credit. Credits are added manually by the WBO Committee when a tournament is processed, so if a blader is missing a few earned credits from an unprocessed event, don’t worry, they’ll be awarded soon! Please check the BeyPoint Queue if you are unsure whether or not a tournament has been processed. As an organizer, you are expected to list each participant’s earned credits in your Tournament Results Submission Sheet. Please ensure that you are listing each individual condition met within the sheet, and totalling the number of credits next to that list. Credits can be redeemed for both physical prizes and Bit Boosters. Bladers can redeem their credits by contacting a WBO Committee member with their choice of prize from the Blader Rewards list, alongside their name, address, and phone number. If requesting a Bit Booster, just send your Bit Booster choice. Please ensure you have enough credits for the prize you are requesting by checking the number in your profile. 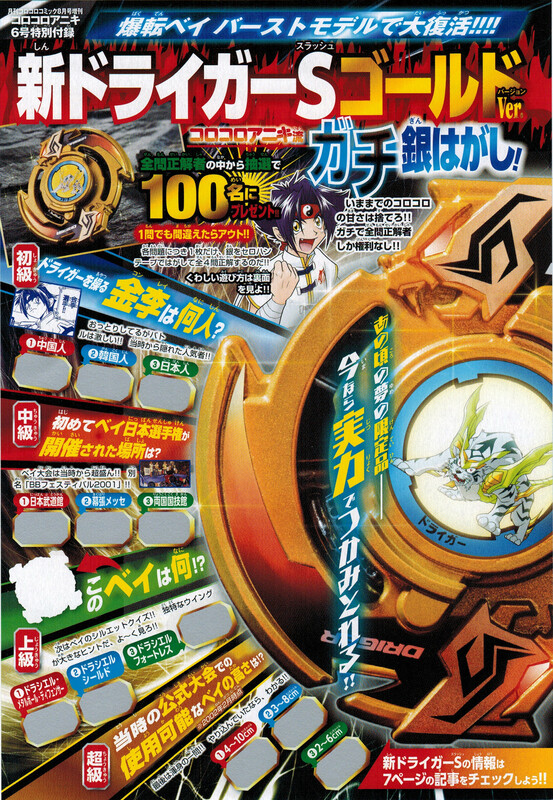 Metal Fight & Zero-G Format Rulebooks - Deck Format Wrote: During deck building, you build up to 3 Beyblades with no repeated parts that will make up your deck. Zero-G/Shogun Steel Chrome/Warrior Wheels are exempt from this rule and may be repeated within the same combo. Regular Faces and Stone Faces are also exempt from this rule in general. If you have any feedback on these particular changes, or any questions or suggestions for further adjustments or additions, please post your thoughts in the WBO Organized Play Rules thread. 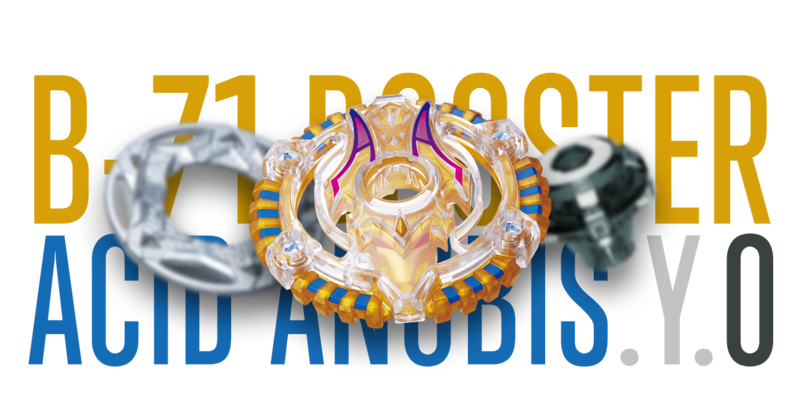 After months of waiting, B-71 Booster Acid Anubis.Y.O has finally arrived, and what better way to celebrate the final Dual Layer release than to give you a chance to win one! If you're a Passport Holder, please post once in this thread to be entered in the February 2017 Beyblade Burst giveaway for a chance to win this new Booster! 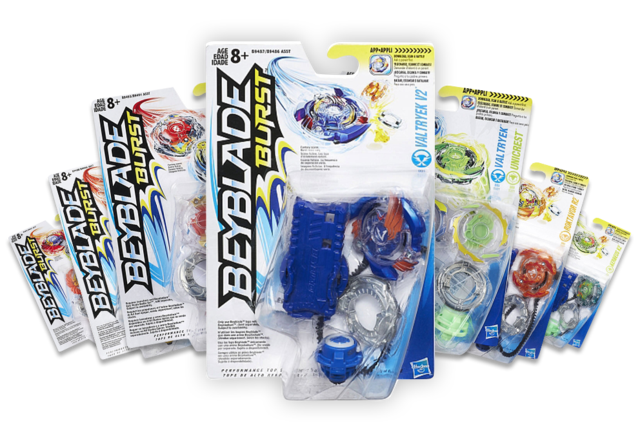 This Beyblade giveaway will run until February 28, 2017, 11:59:59 EST. Entries after that date/time will not be entered. The winners will be announced shortly after the closing date and will have their prize shipped to them free of charge! 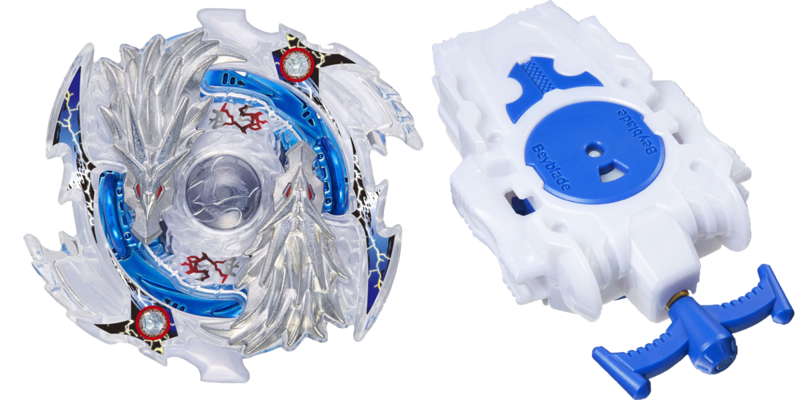 It looks like we do have the worst marketing team in both of the biggest Beyblade companies, because we just now learn that a white recolour of the Burst version of Dragoon Storm Wing Xtreme will be released as a wbba.-store exclusive on March 4th! The box will feature an old picture of Takao, like Dranzer S's box did but with Kai. It will just be a Booster, therefore you still need Lost Longinus's BeyLauncher L to be able to launch it. Arijit Sarkar with 33 points and @[Ninja Blader] with 32 points! Wombat with 55 points and @[AaryanBITW] with 45 points! The exciting new Booster–B-69 Booster Jail Jormungand.I.Cy–with the re-released version of the rare Jail Jormungand Layer and brand new Cycle Driver was just released and we would like to give you a chance to win one! If you're a Passport Holder, please post once in this thread to be entered in the January 2017 Beyblade Burst giveaway for a chance to win this new Booster! This Beyblade giveaway will run for 10 days until January 31 2017, 11:59:59 EST. Entries after that date/time will not be entered. The winners will be announced shortly after the closing date and will have their prize shipped to them free of charge! 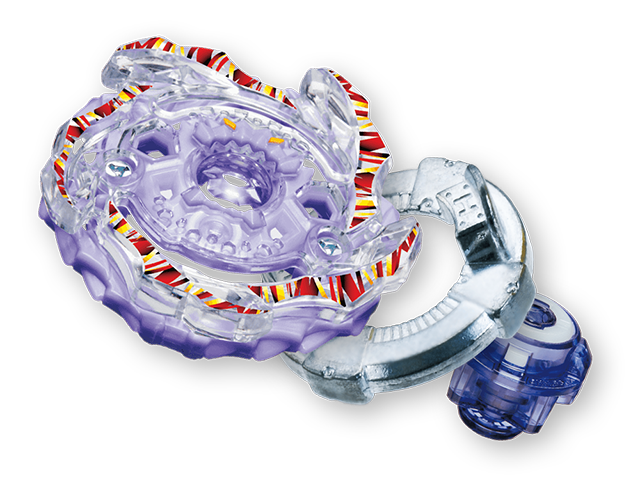 December 2016 Beyblade Burst Giveaway: Dragoon S & B-66 Starter Lost Longinus .N.Sp. Continuing on from the amazing anniversary celebrations, we’re giving three of you lucky Passport Holders a chance to win some new Burst releases! One of you lucky members will receive the coveted Dragoon S CoroCoro Aniki Ver., and two runner-ups will receive the slick B-66 Starter Lost Longinus .N.Sp! Three prizes? Wow! This Beyblade giveaway will run for an extended period until January 1 2017, 11:59:59 EST. Entries after that date/time will not be entered. The winners will be announced shortly after the closing date and will have their prize shipped to them free of charge! For our seventh anniversary, we changed our logo. For our eighth, we changed everything else to match. 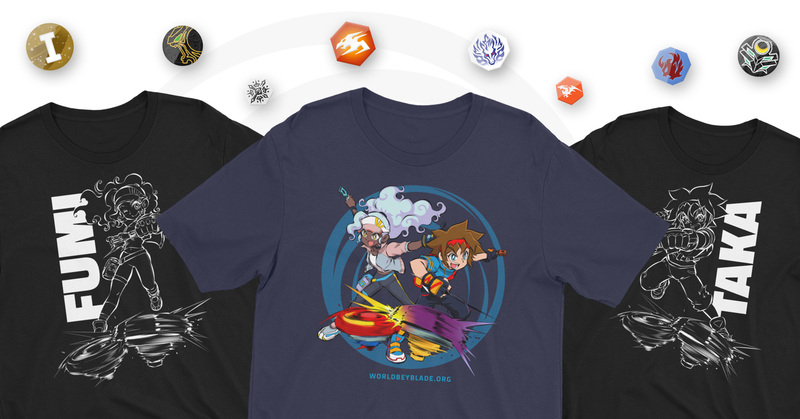 We’re not just unveiling a radical mobile-responsive redesign of our site, or just launching new tournament formats and resources for players and organizers, or just giving away/making you fight for tons of rare Beyblade gear. 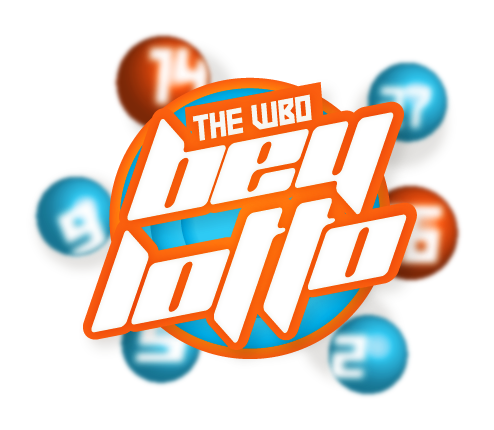 We’re also building a WBO for bladers who haven’t yet launched their first bey. For fans who are going to watch the new anime and fall in love with the idea of a world where they can go to tournaments, meet rivals and fight intense battles. Unfortunately, it's impossible to not mention that we were down for a very long time, and some parts of the site are still buggy or unfinished. Battles and awards will be back on your profiles soon, promise! In the meantime, please enjoy the giant bio space where you can write anything you want and link to as much stuff as you want. :) I really appreciate your patience as we continue polishing out the rough edges. But this isn't the finish line for us; it's just the start. You won't be waiting eight years to see big improvements. Actually, you won't even be waiting eight weeks! The whole purpose of this redesign was to give us a platform we could easily, rapidly build upon in the future. Welcome to the new WBO. - Scavenger Hunt 2016: HUGE MFB lot, golden Burst Beys, and more! 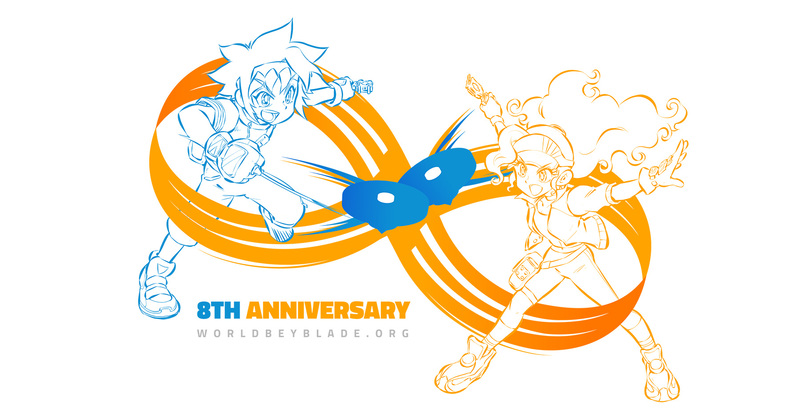 2016 isn't complete without a new Scavenger Hunt to celebrate the World Beyblade Organization's 8th anniversary! What's a WBO Scavenger Hunt? You'll find below a list of challenges to do and random questions to answer. Depending on how many of those tasks you did properly or answered correctly, you rank your score among all other participants and the Members with the highest scores win prizes! However, even if you don't have enough for a physical prize, it's almost guaranteed that you will win Face Boosters! - Try to limit the number of messages you send. Wait until you are able to submit a few things at once rather than sending multiple small private messages. - Make sure to search thoroughly before submitting your answers. - Play fair, don't share your answers with other players! For now, there are no limits to the number of attempts you can make, and you will receive a reply validating or invalidating your answers. Depending on how many entries are submitted, this could change. A scoreboard will be posted at least once midway into the Scavenger Hunt period, to let you gauge how many more points you should try to gain to reach a good position for prizes compared to other participants. You have until January 14th 2016 11:59:59 PM EST to send the proof of your achievements and your answers. Anything sent after that deadline will not count even if the task was technically done beforehand. Here are the goods this year! Here are the prizes you can win if you reach the top of the scoreboard! That's the list... for now! As you can see, the exclusive Bit Booster VIVID is back on this special occasion, and you can get one if you can gather at least 8 points in this Scavenger Hunt! Additionally, once you've gathered 3 points at least, you will automatically receive one of the marvelous Anniversary Bits 2016! That's right, you will randomly receive either of these Taka and Fumi versions and you can trade with another person's version later on if you want! These Bit Boosters will cost 5 points each. Everyone can obtain Bit Boosters as long as you have enough points, even if you are in the top 10 and that you are already gettting a free Bit Booster with your prize! Post a holiday-themed Beyblade photo and post it in the Photo Gallery thread (1 Point) on Instagram tagged #worldbeyblade. 1 Point) Not celebrating a holiday? Every day is Beyblade day. For prizes and questions alike, we will probably add more before the end of the deadline, so stay tuned for easy ways to win even more prizes! We wish you the best of lucks in your road to the treasures awaiting you! Today we revealed our worldbeyblade.org redesign and complete rewrites of most of our rule books and resources, all in the name of creating a better experience for all bladers. It couldn’t come at a better time: Beyblade Burst is already out in Canada, and a worldwide release is mere just on the horizon. We’ll experience a huge boom in membership, and we’re excited to take it on. But our investment in the future has left us little for the present, with our funds hitting their lowest levels in years. We’re asking bladers everywhere to help our volunteer organization keep running amazing events, giving away tons of great Beyblade gear, and building the ultimate online experience for Beyblade fans. And speaking of great Beyblade gear … we worked with Takafumi Adachi, creator of Metal Fight Beyblade/Beyblade Metal Fusion, to create original character artwork for the World Beyblade Organization. (More info on that here.) This crossover between one of Beyblade’s legendary artists and the passion of a fan community is monumental, and we’re thrilled to make it available to you. 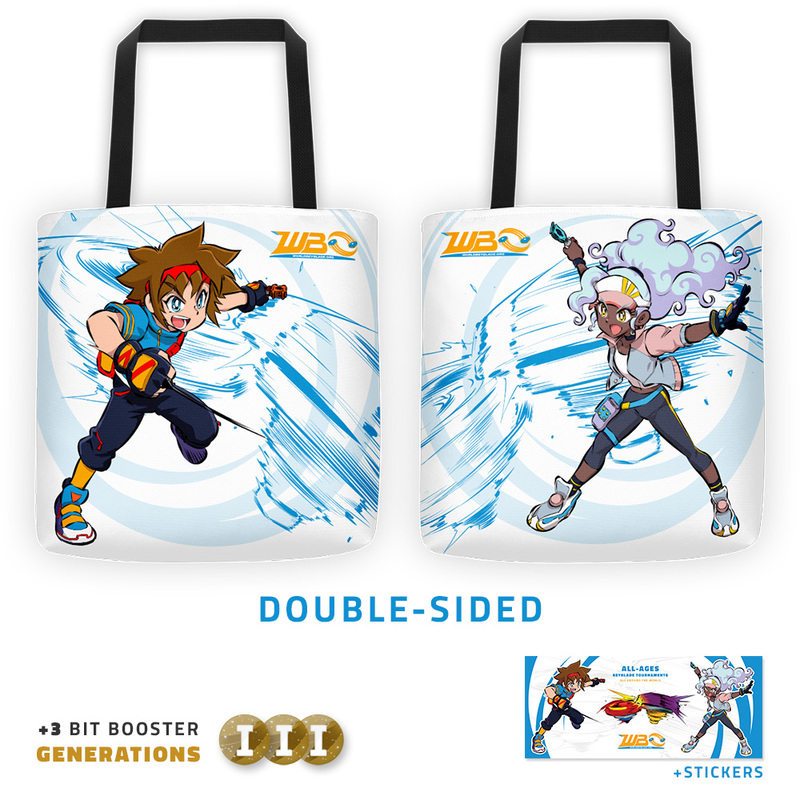 Get any WBO x Takafumi Adachi t-shirt or tote bag for $35 USD and receive 3x Bit Booster Generations Vol. 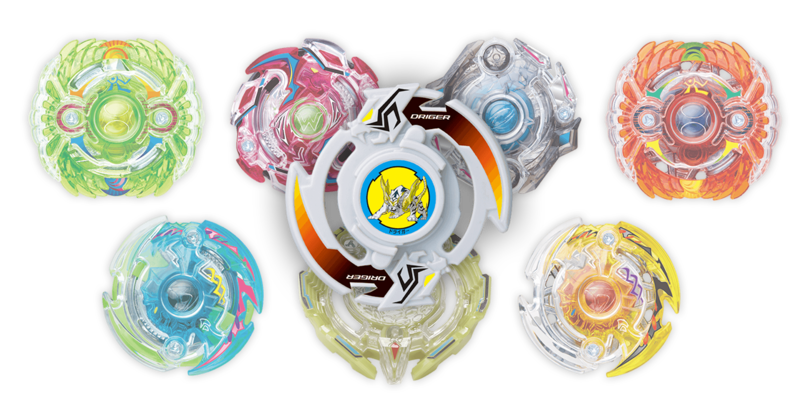 I — a collection consisting of highly sought-after Bits from all eras of Beyblade’s history, old and new! Bit Booster Generations Vol. I is also available to anyone who’d like to make a donation of $5 (x1) or $10 (x3). Just send a Paypal donation to donate@worldbeyblade.org and include your username in the note. 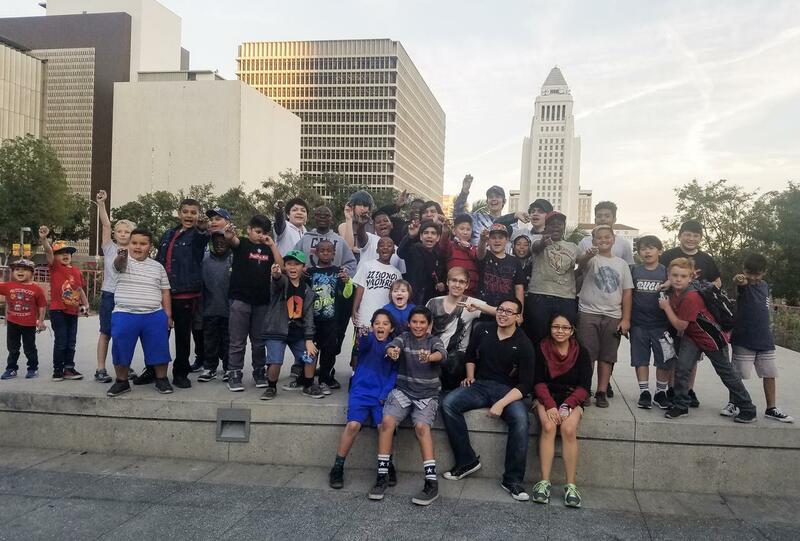 Your contributions make it possible for us to do cool stuff on the web (as you’ve seen today), fulfill our goals of shipping kits full of Beyblade gear and organizer resources to local Beyblade communities, and run bigger and better events at a time when we are most poised for success. Finally, for those most dedicated lifetime bladers, we’re making available the Eternal Passport: a lifetime membership to WBO Beyblade tournaments and Passport-exclusive giveaways. 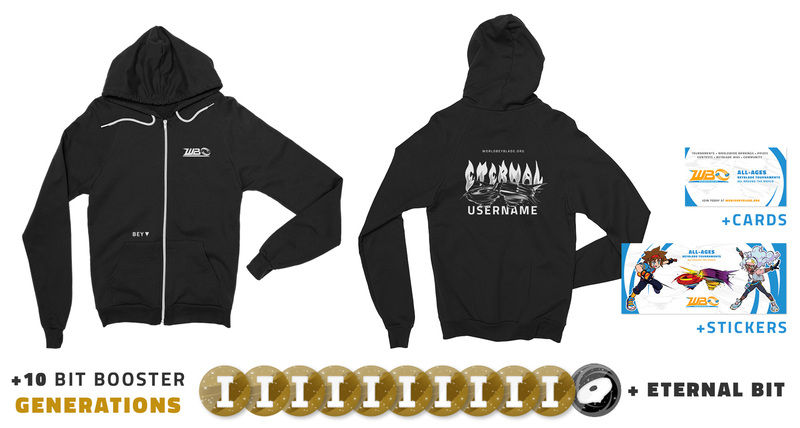 In exchange for your generosity and dedication, you’ll also receive the Eternal Bit and an exclusive WBO x Takafumi Adachi “Eternal” Hoodie, complete with custom username detailing on the back, along with WBO cards and stickers. When I founded worldbeyblade.org, it was already my third attempt to create a Beyblade tournament organization. I had toyed with the idea before, under the name International Beyblade Association, but it just never clicked. Until 8 years ago, it did. It did and all of this crazy stuff happened and now we’re here. We built an international Beyblade tournament-sanctioning organization, complete with online battle tracking. We worked with the artist of Metal Fight Beyblade. We’re basically making anime real, here. The WBO is the only place on earth where this could happen, and the generosity of our community is what has made that possible so far. A few months ago, Kai-V and I had a crazy idea. What if we could get Takafumi Adachi, author of the Metal Fight Beyblade series and creator of legendary characters like Ginga Hagane, Ryuuga, and Zero to draw character art for the WBO? Life lesson: sometimes all you have to do is ask. Takafumi was thrilled at the opportunity to lend us his talent. I collaborated with close friend and artist Valérie Bastille to create character design sheets for Takafumi to base his illustrations off of. Once Takafumi sent us his lineart, she took care of the coloring, too. Check her stuff out! We named the characters Taka and Fumi very obviously in honour to the immense contributions that Takafumi has made not only here to the WBO, but to the world of Beyblade at large due to his impactful work on Metal Fight Beyblade. Takafumi’s distinctive way of capturing motion and power make his style a perfect fit for a franchise that’s all about stuff spinning real fast and hitting each other. He was also a true pleasure to work with, a man of extreme kindness and talent. 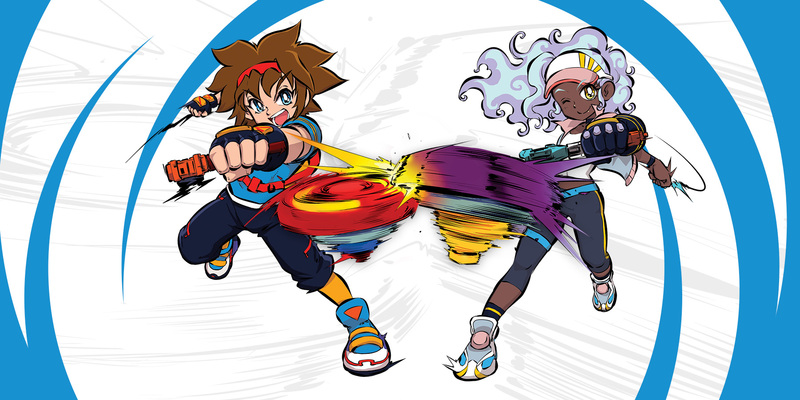 Taka and Fumi aren’t just “mascots” for us; they’re a representation of the fighting spirits of bladers all over the world, and the core of our visual identity going forward. Expect to see them around a lot, in new cards, stickers, and more. We’re extremely honoured to have received this gift from Takafumi himself. What do you think of this collaboration? Reply with your thoughts, and feel to share your own art of Taka and Fumi here as well! We also made some wallpapers you can use on your desktop or mobile device! Realizing that the way the WBO runs tournaments has changed very little in the past eight years that we’ve existed, earlier this year we embarked on an initiative to re-evaluate the way WBO tournaments are run. Starting in early September, we began running “Experimental Format” unranked tournaments in different WBO communities to test new rules. Through continuous discussion and feedback from the community, and experimentation and refinement conducted via our test tournaments over the past several months, we have decided upon a final version of rule changes for WBO Organized Play that are now available to use optionally for ranked events (where applicable) for all formats (PLA, HMS, MFB, LTD, ZRG, BST), but will be mandatory effective January 1, 2017. Make improvements that would help provide clearer guidelines for the formats we allow to be played and when they are to be used, including a new format for less than seven players. Essentially eliminate the potential for an endless loop of win-percentage destroying tiebreakers at the end of the first stage of a tournament and provide clearer, standardized direction for the final stage of all events. Introduce a more fun and strategic way of playing for top bladers who reach the finals of our tournaments: Deck Format. Allow the option for each players BeyRank to mean something significant in a real competitive sense through the introduction of seeding, something which is standard among many other competitive games. Burst Format: Re-evaluate the status of Odin’s ban. A special set of rules used in the final stages of WBO Beyblade tournaments that allows you to strategically switch between Beyblade combinations during the match. Matches are to 5 points. Out-spins are worth 1 point; knock-outs and bursts (for Burst Format only) are worth 2 points. If your Beyblade exits the stadium without making contact with the opposing Beyblade they’ll receive 1 point. 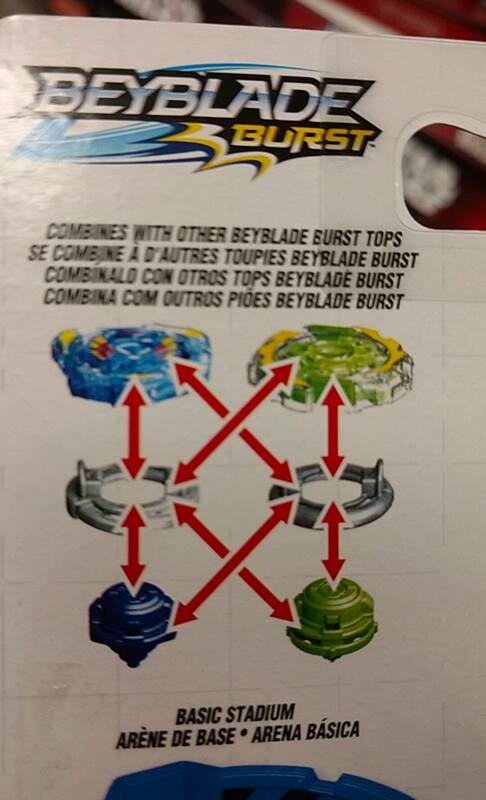 During deck building, you build up to 3 Beyblades with no repeated parts that will make up your deck. Once you’ve assembled your desired deck, you can declare that your deck is ready. The judge will inspect your deck. Before the match begins, both bladers will inspect each other’s decks. 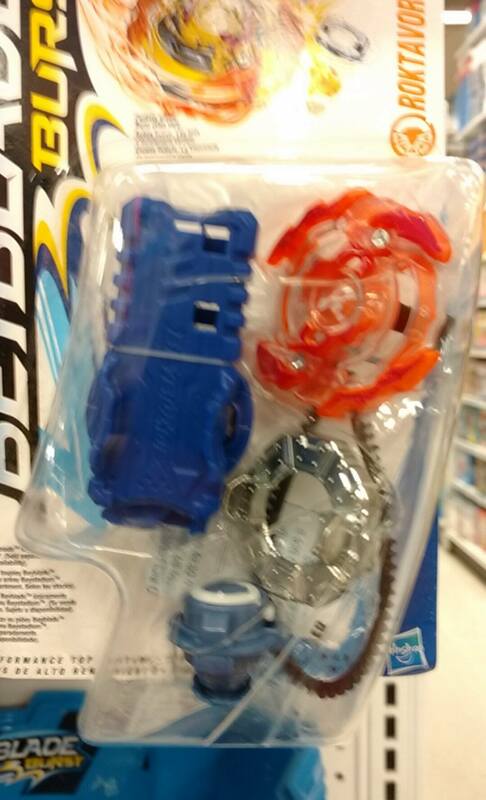 Then the Beyblade selection phase happens in secret as normal. After each round, the loser is asked if they want a replay, which bars both bladers from switching their Beyblade in the next round. Replays do not alter the result of the previous round; a loss is still a loss, and you can’t replay once you’ve lost the match. If a replay is declined, both bladers may switch Beyblades before the next round. The winner of the previous round must declare first if they will switch. If they will switch, they must make their selection and then show it to the opponent. 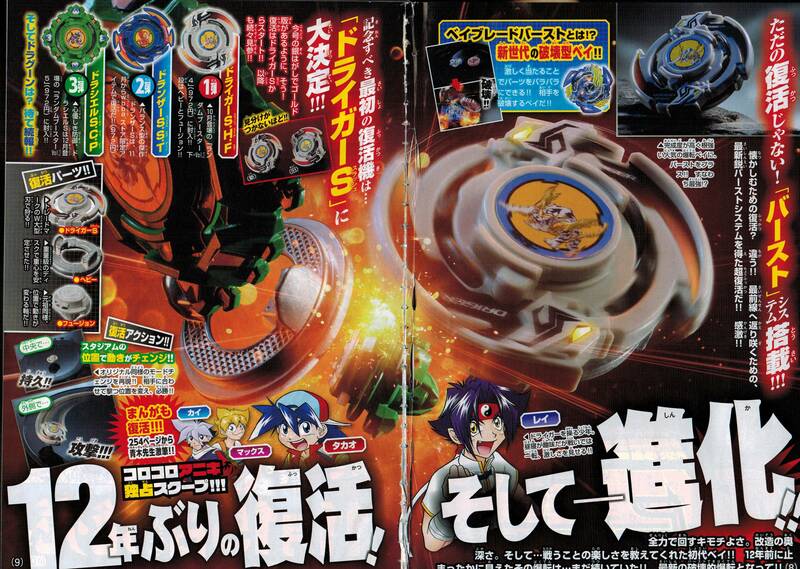 The loser then has the option to switch their Beyblade for another Beyblade in their deck; however, they are not obligated to. Seeding is the initial placement of players in tournament brackets that determines who they face first. Organizers are encouraged to seed bladers based on their BeyRank, as is the standard for competitive games worldwide. 1. BeyRank of registered attendees, collected from the website the night of/morning before an event. However, random seeding is permitted for tournaments with under 17 players. Seeding can be easily controlled when using Challonge to run your tournament. Seeding of participants is controlled by the order of the list of participants from top to bottom. The first player on the list will be the top seed in the tournament, and the last player on the list will be the bottom seed. In the final stage, players are seeded based on their rank in the standings of the first stage of the tournament. Round Robin/Group Round Robin: Perform a tiebreak BeyBattle (or round robin in the case of three or more tied participants) to determine who will advance to the finals. Note these battles separately from Challonge. They will not count for BeyPoints when these rules are moved out of the experimental stage, but should be included when submitting results afterwards. Swiss: Median-Buchholz score in Challonge. Whichever player has a higher score will advance to the finals. Challonge usage is optional, but heavily encouraged. Challonge is a popular tournament management platform that can be accessed from any device with an internet connection. It streamlines the process of running tournaments by automatically generating brackets for any format, keep track of scores, seed players, determine tiebreakers, and more. Organizers that use Challonge consistently run faster and more efficient tournaments, and all organizers are encouraged to use it. However, it is not mandatory and printable tournament materials are provided for organizers who would rather not use Challonge. The Odin Layer is now unbanned for Burst Format. After becoming available throughout several different Experimental Format events in different communities, Odin proved itself to no longer be a centralizing piece of the game as it once did nearly a year ago when it was first banned. The metagame did not shift to revolve around it being available in the Experimental Format events, and its weakness to many Attack types was noticeable. It’s still a good Layer, but the game and our community has evolved beyond it now, making it a reasonable choice to move forward and revoke the ban. Quote: This format allows for groups of 4-7 Bladers to play in free-to-enter, unranked tournaments. Prize reimbursement is not provided for these events, but the winners of each event have an opportunity to earn a Credit and a series of special Club Format Bits. Hosts must submit results spreadsheet and winning combinations like a regular tournament, and a mandatory group photo. Winner: +1 Credit and Club Ace Bit (1 Club Format Win) OR if applicable Club Champion Bit (10 Club Format Wins) and Club Master Bit (25 Club Format Wins). Players cannot earn more than one of each Club Format Bit. With these new rules now available (and soon to become mandatory on January 1st, 2017) for all ranked (where applicable) WBO tournaments, we will be continue keeping a close eye on how things play out from this point. We are open to making rule modifications after we've had a chance to see this in action in ranked tournaments for some time, but are confident that at the very least, what we have proposed here is credible and fair to be adopted as the standard for our events moving forward. If you have any questions, comments, or suggestions, please direct them towards this thread. A big thank you to everyone who played a part in either formulating, testing, or discussing these rule changes. This was truly a community effort! Special thanks go to Cake, Wombat, and Beylon for their constant feedback and consistently deep and insightful thoughts on everything at each step of the way. The combination of Screw Zeus with Attack Rings that visibly do not fit, cause the parts to bend from their original shape, or do not sit level with each other is forbidden. One example of this is Dragon Breaker. The combination of Screw Zeus on SG Free Wing Base with Weight Disks that visibly do not fit and cause the parts to bend from their original shape or do not sit level with each other is forbidden. It took us a little while (sorry about that! ), but we have also added in an update on the legality of Screw Zeus in conjunction with Attack Rings and SG Free Wing Base. We realize the current wording above is slightly vague in that it does not provide a comprehensive list of compatible/incompatible parts. There is a list posted in the thread I linked to above outlining at least some of these compatibilities/incompatibilities with Attack Rings, but I'm not sure if it is comprehensive and completely verified yet. I also do not believe we have a list of Weight Disks that will work and won't work with Screw Zeus + SG Free Wing Base. If we can come to a conclusion as a community on a complete list for both of these cases, we would be happy to add it to the rulebook. For now however, this should hopefully make it clear in general that using Screw Zeus in situations where it feels forced to make it fit with the other parts it is being assembled with is forbidden. Additionally, all WBO Organizers should read our new Organizers' Guide for more detailed information about how to run tournaments with Challonge, prize reimbursement, tournament management, post-tournament responsibilities, and more. 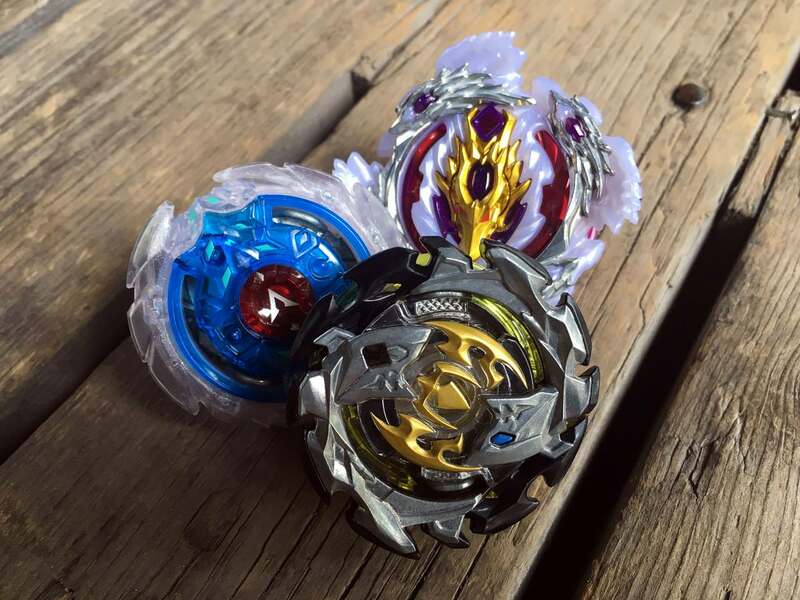 worldbeyblade.org will be temporarily inaccessible for up to 24 hours starting at 1 PM EST on Saturday, December 3rd, as we add a few new things to the site. We apologize for the inconvenience, but hope you'll stop by on December 4th — which is, incidentally, our 8th anniversary. Who knew? That's it. User locations will no longer be publicly visible. Instead, tournament organizers will have access to an additional "address" field when they create new tournament threads that will be used to locate nearby users. This all will happen automatically. As a consequence of the removal of this feature, we will be removing the "stores" feature as well. While much of the information is out of date, members who want to retain information from that section should do so immediately, as it will not be accessible in the new interface. We're really excited to launch a location and tournament notifications system that will make it way more seamless for bladers to know when there's a tournament near them. All of this — and more great stuff — is soon to come. The exciting new booster–B-63 Booster Beast Behemoth .H.H–with the brand new Beast Behemoth Layer and Hold Driver was just released and we would like to give you a chance to win one! If you're a Passport Holder, please post once in this thread to be entered in the November 2016 Beyblade Burst giveaway for a chance to win this new Booster! This Beyblade Burst giveaway will run for seven days until November 22nd, 11:59:59PM EST. Any Passport Holders who post after that date/time will not be entered. The winners will be announced shortly after the date has passed and will have their prize shipped to them free of charge! Experimental Format Updates & Hasbro Burst BeyLotto, Limited Format v1.5, and more! We are in the midst of a pretty exciting time for the community. Beyblade Burst has launched in Canada and we are working hard on several big projects behind the scenes that we’re excited to show off in the next few months. But in the mean time, we have several other newsworthy items we’d like to announce! We recently launched a new set of experimental tournament format rules that we wanted to test the viability of in real events. We haven’t revisited many of the rules for tournament organization in WBO Organized Play since the WBO was launched in 2008, and with Beyblade Burst’s wider international launch on the horizon, now seemed as good a time as any to start evaluating them again. Our goal is to eventually introduce some version of these new changes as the new standard for our WBO Organized Play events. All entrants will be entered into a Hasbro-themed BeyLotto! Details below. Please discuss these changes and direct any questions you may have to the Experimental Tournament Format Changes Discussion thread. Beyond the free entry and Faces and Credits available to participants in experimental format events, all participants will also be entered into a Hasbro Beyblade Burst-themed giveaway! Additionally, all three winners will have their choice of receiving one Hasbro Beyblade Burst Starter OR one Hasbro Beyblade Burst Dual Pack! Especially for players living outside of Canada, this is a great opportunity to win some of the brand new Hasbro Beyblade Burst before they are released in your country! For all of the above winners, please post your Face Booster choice in the thread here! Since the previous ban list update was announced a year ago where both Libra and Omega were banned, Dark Knight has risen to prominence in the Limited Format metagame. 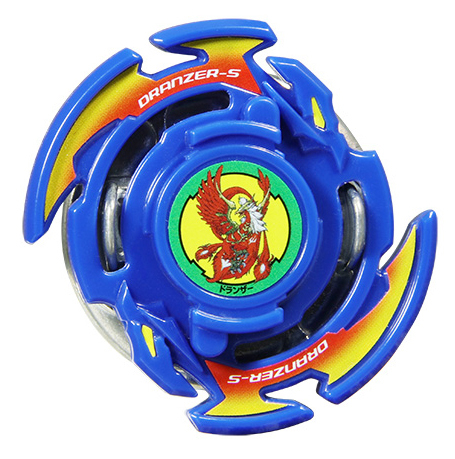 Its use in powerful Attack types with incredibly wide reach in terms of their ability to KO Beyblades of all heights, its ability to outspin some Defense types if it doesn’t KO them, its ability to be paired with any Zero-G/Shogun Steel Chrome/Warrior Wheel, and being left-spin in a predominantly right-spin series have made it into a choice that is undeniably versatile and safe, making other powerful but less versatile and more specialized Attack types less likely to be used. It is for these reasons that we have chosen to ban Dark Knight for this iteration of the Limited Format ban list. As for Gravity, it has been banned since it dominated the initial test events for Limited Format nearly three years ago now. At the time this banning faced some level of contention, and even to this day many people have been questioning the ban and clamouring for the chance to use it again. There is however, many other people who have opposed this, and for good reason; Gravity is–like Dark Knight–an incredibly versatile part that can potentially easily be abused, lowering diversity in the format. However, it is possible that several years later with a much different looking ban list for Limited Format and more experience with the pool of parts available that its versatility might no longer be too overwhelming. So for the time being, Gravity will be unbanned, but we will be keeping a watchful eye on how it performs in subsequent Limited Format events, at which point we will evaluate whether it can be allowed to stay unbanned or not. Prior to any BeyBattle, players are permitted to inspect the BeyStadium with the permission of the judge. Once permission has been granted, the player may pick up the stadium and inspect it. Afterwards, it must be placed back into the same position it was originally in on the ground. The existing rules for touching the BeyStadium in any other situation still apply; a judge may grant a round loss if the stadium is intentionally moved/touched without asking for permission. The BB-14 and BB-46 Stadiums have been banned due to their vastly different designs and lack of ridges to make Attack types viable in comparison to the gameplay and design of the Attack Stadium or any of the other legal stadiums in the format. To ensure the viability of the Standard and Limited Formats moving into the future when the Attack Stadium may become more scarce (the reduced number of legal Attack Stadiums with the banning of the Sonokong versions also accelerates this eventual problem), and due to the relatively minor differences between the Burst BeyStadium Standard Type and the Attack Stadium, we have also decided to unban the Burst BeyStadium Standard Type for each format. There has been much recent discussion regarding Sonokong's Attack Type Stadiums that feature a smaller Tornado Ridge and slightly different bowl design. This makes aggressive combos less viable. After considering feedback from players who have used it during official events, and considering the logistical issues of enforcing a ban on a stadium that at first glance appears to be similar to the original mold Attack Stadiums, we decided that the best way forward was to allow for players to inspect any stadium prior to the beginning of a BeyBattle with the judges permission so that they can be made aware of the mold/stadium they are playing in and adjust their strategy accordingly. 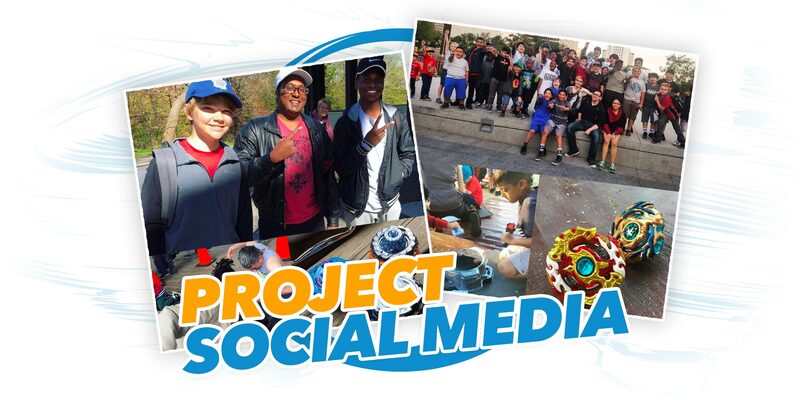 PROJECT SOCIAL MEDIA: Submit Tournament Photos & Videos, Earn Face Boosters! As some of you may or may not have seen, we recently launched a new initiative to help bolster our social media presence and visibility of each of our great communities around the world: PROJECT SOCIAL MEDIA. Help us to do this and you can earn yourself new Face Boosters for your Face Collection! (Aug. 09, 2016 5:20 PM)Mitsu Wrote: As many of you already know, the WBO runs several social media platforms: a Facebook, Twitter, and an Instagram! 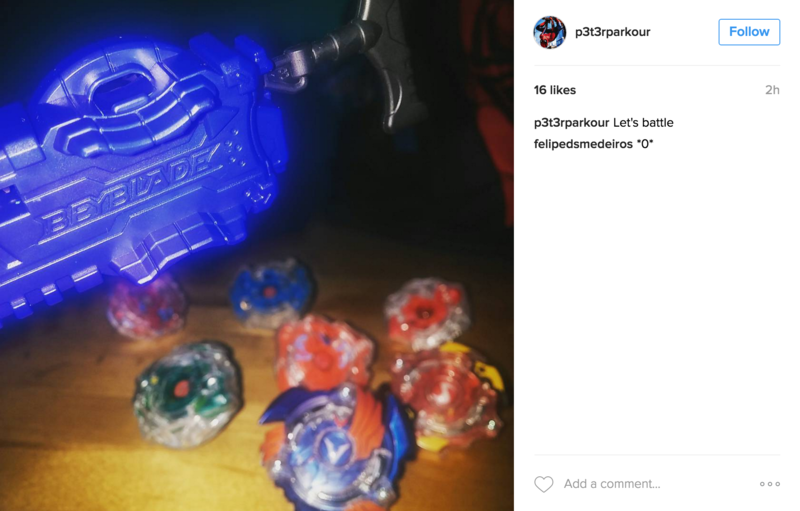 We post a broad range of Beyblade-related content, and we share everything from cool Beyblade photos to tournament coverage on a daily basis. Please take a look if you haven't already. The WBO team loves experimenting with different types of content when sharing. We do find, however, that we get most of our online attention from our short clips and photos taken at official tournaments. Right now, though, that content isn't properly representative of our massive worldwide community. We want you to help us represent the World Beyblade Organization and show the world what Beyblade is like where you live! We’d love to share some of your content next! For more information and if you have any questions, please visit the official PROJECT SOCIAL MEDIA thread. Welcome ~Mana~ to the WBO Committee! Finally, we’re happy to announce another addition to the WBO Committee: ~Mana~! Many of you should already know him from his position over at the Beyblade Wiki which officially merged with Beywki last year. He has been a WBO Affiliate since, but with all of the work he’s done to date, it made perfect sense for us to take our commitment to the wiki a step further by adding him as an official member of our team! His primary focus will be to continue managing the wiki itself while also pushing the merger project forward from both a content/article perspective, and a design perspective to help transition the wiki to a design that feels like more of a part of the WBO itself. 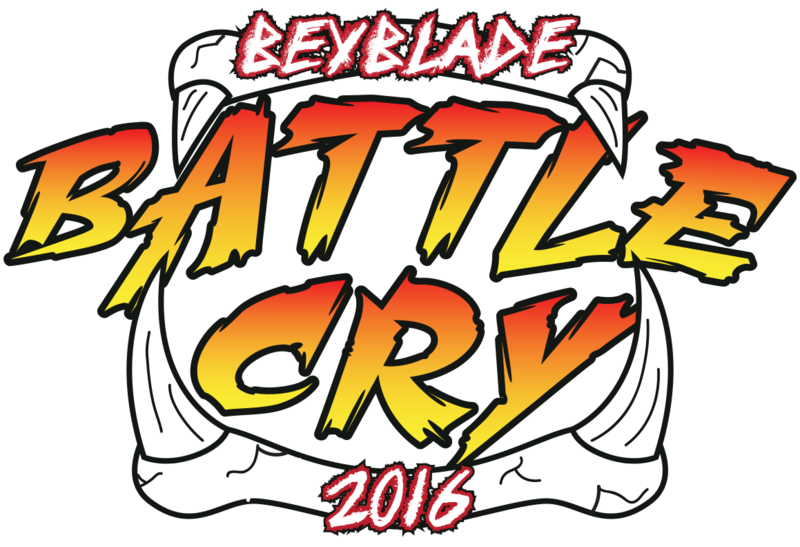 The World Beyblade Organization is proud to present Beyblade Battle Cry, a huge two-day event you won't want to miss at Fayetteville Comiccon! Veteran Organizer Dark_Mousy invites you to a series of events spread on the weekend of October 15th and 16th 2016 to kick off what we hope to be a tradition! Located in between Charlotte, Goldsboro and Raleigh in North Carolina, Fayetteville is the home of this new convention event and it is filled with great promises! Livestreaming, battle music, your favorite mix of Burst and Metal Fight Beyblade, great prizes, and much more! So even if you couldn't go, you'll want to tune in on both days to check out the action. But of course, it'll be a ton more fun to be at the event in person! There'll also be event-exclusive T-shirts sold for $20 and with an additional $5, you can get your own username printed on it too! Fayetteville Comiccon is an annual gathering to celebrate all geekdom, a perfect mix of Japanese culture and American heroes and shows! Its venue spreads on 72,000 square feet to accomodate all sorts of fan-run events and treat you to some 30 celebrity guests. If you're close to North Carolina, this is a convention you'll want to mark on your calendar each year! Click the link below or the logo above for more details. Good luck to all! And that's not it! A few tournaments have happened in the last year inside anime or comics conventions, and we're hoping to step up our game and claim a spot inside more of them anually. All it takes is for one person to get in communication with the convention staff and present the project to them. Even if you don't end up having enough long-term participants for a tournament, you'll be attracting a big audience and recruiting, which is good for your local Beyblade scene and the convention! If you're really far from North Carolina and that you're interested in organizing an event inside your regional convention, we can help you and we encourage you to put your foot in the doorway! Visit this thread to know how to get started. We figured it’s been way too long since our last “Monthly” Passport Holder Giveaway, and that now is as good a time as any to bring them back with the release of B-59 Zillion Zeus I.W. on the horizon! 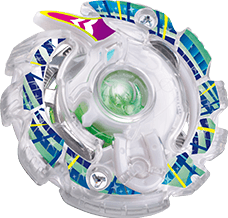 If you're a Passport Holder, please post once in this thread to be entered in the September 2016 giveaway for a chance to win this really cool Beyblade! This contest will run for seven days until September 18th, 11:59:59PM EST. Any Passport Holders who post after that date/time will not be entered. The winners will be announced shortly after the date has passed and will have their prize shipped to them free of charge! It seems like unfortunately the USA will have to wait a while longer before being able to take part in the hype. 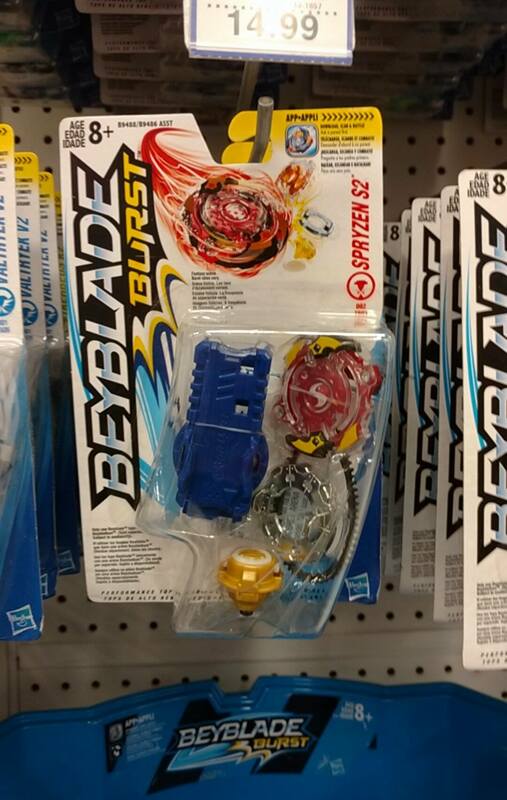 Only Canada will have Beyblade Burst products by Hasbro sold in stores until January 2017, starting this September. As for Europe and Latin America, the release is planned for later in 2017. 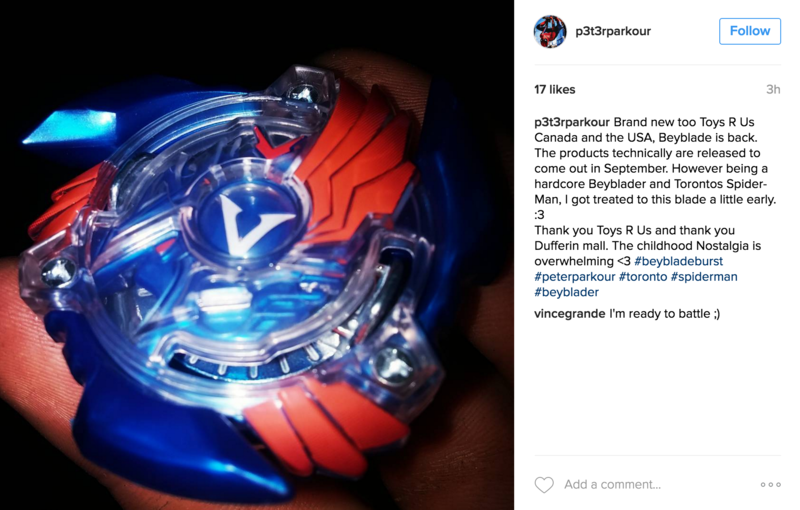 Quote: The BEYBLADE BURST line will be available in Canada at Toys“R”Us in September, followed by additional retailers in Canada later in 2016. The BEYBLADE BURST line will hit shelves in the U.S. in January 2017 with Europe, Latin America and certain other markets to follow in 2017. It'll start being broadcast this Saturday, September 10th, at 3:00 PM EST on Teletoon in Canada. There's no word yet on which channel will broadcast Beyblade Burst in the United States of America and when. 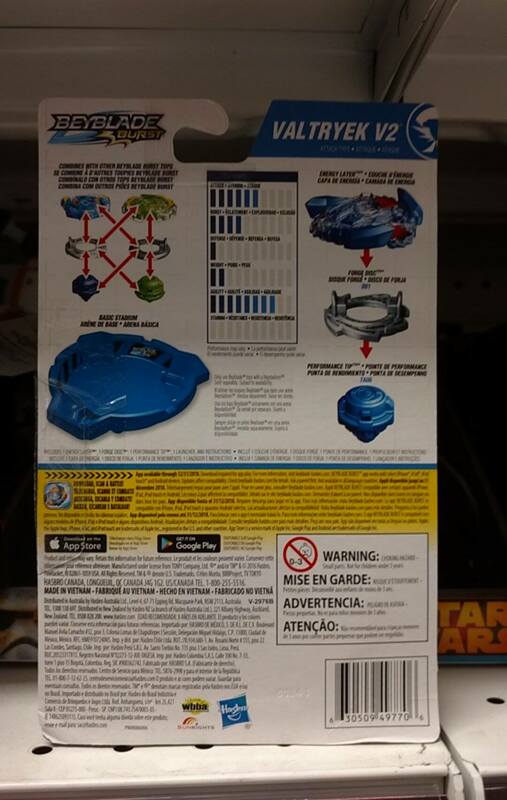 WBO members @[1234beyblade] and @[Kei] got their hands on the new Hasbro Beyblade Burst releases as well, and we have some really strange and unfortunate news: Hasbro's Beyblade Burst releases seem to have no teeth at all, but are instead solid parts sloped at an incline. Each Layer has a unique slope to offer different burst-resistance. The instruction guide also includes a note that "bursting is rare", and our preliminary tests indicate the same. There's no indication that this design bursts more often than the Japanese designs. We can also now confirm that there is no cross-compatibility between Hasbro and Takara-Tomy parts with the exception of Disks. Hasbro Energy Layers work with Hasbro Performance Tips, and Takara-Tomy Layers work with Takara-Tomy Drivers. However, Japanese launchers will work. 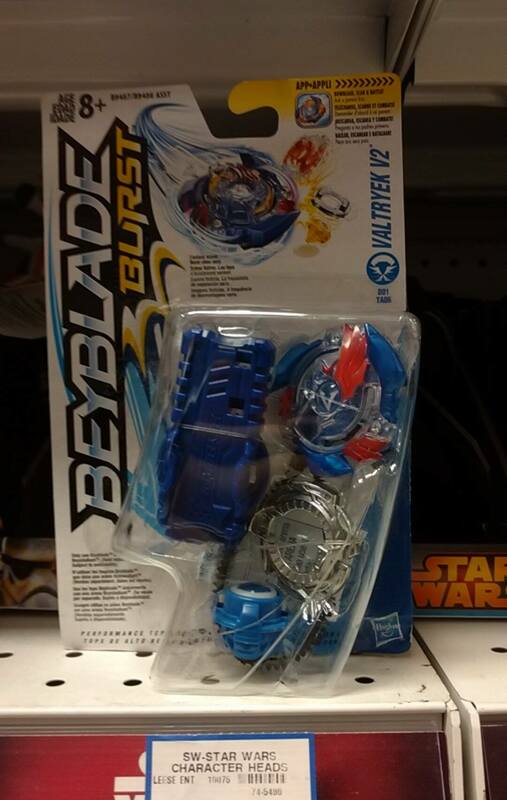 Earlier in the week it was confirmed that Canadian cartoon network Teletoon would start airing Beyblade Burst on September 10th, so it's only appropriate that the Hasbro release of Beyblade Burst has been spotted there first. 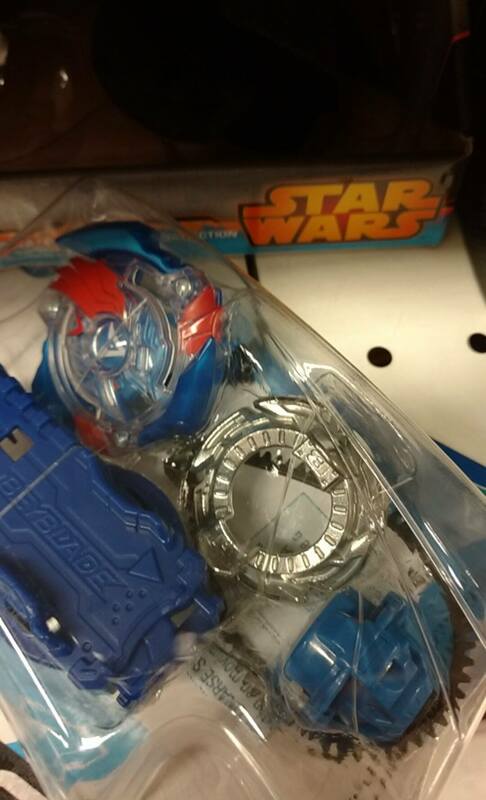 These are the first photos of Hasbro's Beyblade Burst releases available anywhere. 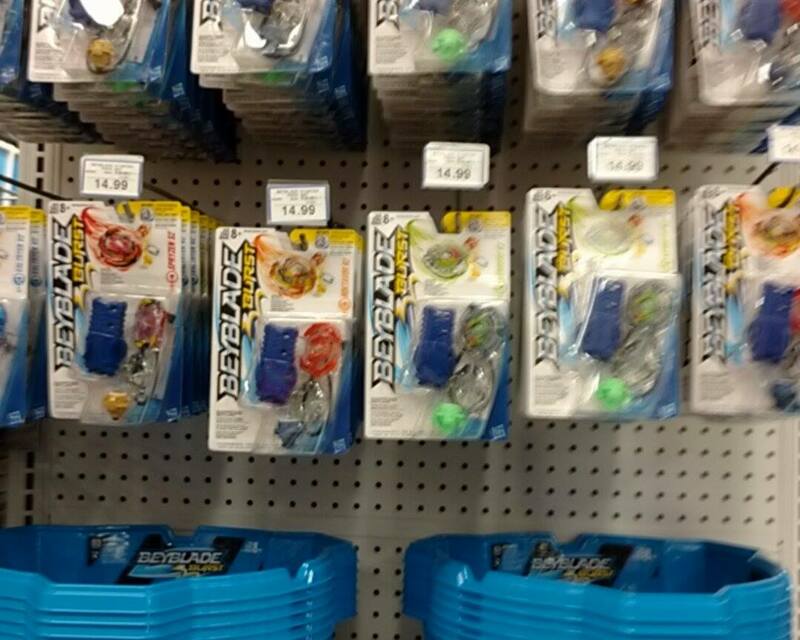 Beyblade Burst has been spotted on shelves in Toronto, Ontario. 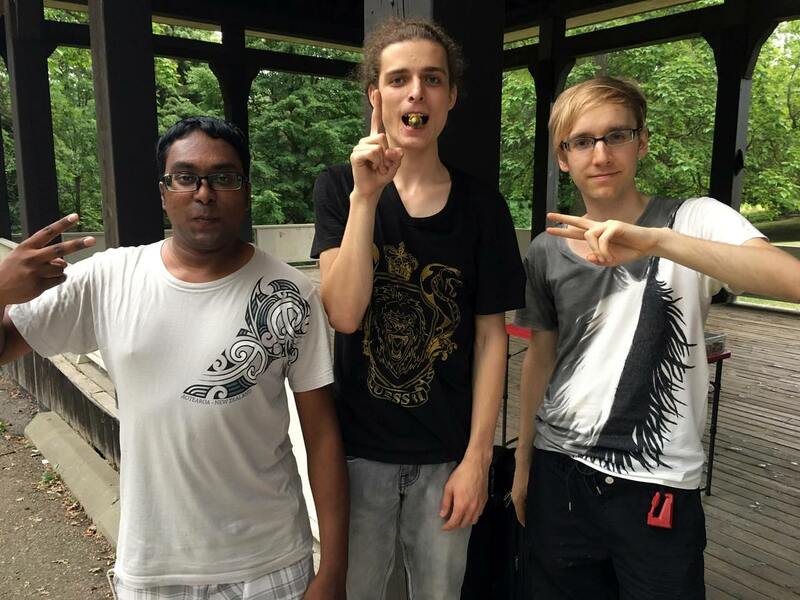 These photos were provided to us by @[pyrus10000]. 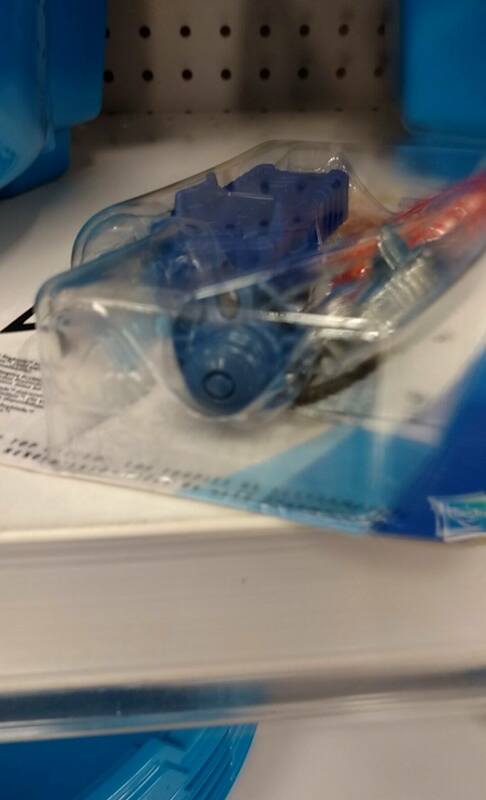 These images confirm that Hasbro will be releasing the earlier "Basic Bey" models including Valkyrie, which is notorious for its fragile teeth that wear down after just a few battles, causing it to burst more easily. 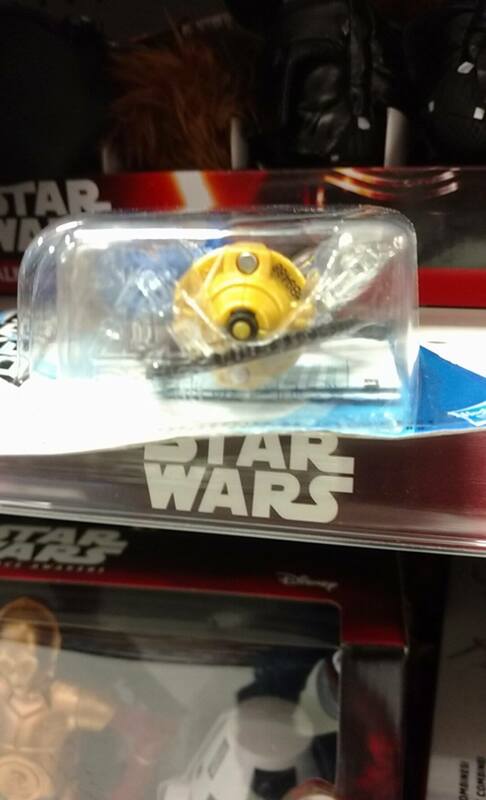 What remains to be seen is if Hasbro has addressed this issue. However, these haven't been spotted in stores yet. 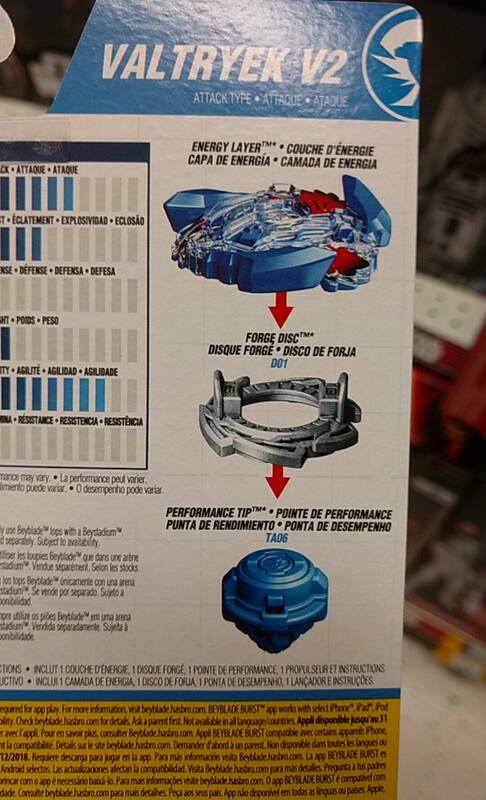 In one final bit of disappointing news (although the stadium will likely prove to be a disappointment later on), Hasbro has made the bizarre decision to change the names of the parts from names like "Boost" to "D01" which literally just means "Disk 1". The "Variable" Driver (now Performance Tip) is now TA06. Despite the D01 Disk having a B on it and the TA06 Disk having a V on it. We had seen these part names in the mobile game already, but it's disappointing to see them in the real product line. Overall, Hasbro seems to be diverging from Takara-Tomy's original concept and branding more than ever. What remains to be seen is how the products themselves hold up. We’ve been anticipating Hasbro's release of Beyblade Burst ever since it was announced at New York Toy Fair in February, and today we got the first glimpse of its release … in the form of a mistakenly-released iOS app. Details on Hasbro's version of the Beyblade Burst App! While similar in someways to Takara Tomy's own Beyblade Burst app, it is also very different in most. Unlike Takara Tomy's app that simply adds basic functionality and code-scanning on top of the website, Hasbro's app introduces a battling component — which obviously gives off a similar vibe to BeybladeBattles.com — as well as Stats, a virtual Store, Battle History and Beyblade Levels. By selecting one of your four Beyblades, tap the crossed swords. You are given the options of Training, Multiplayer and playing in a Tournament style (which both aren't released to the public just yet). When the Training option is tapped, you are given the choices of facing either a Custom Opponent, a Random Opponent or a Recent Opponent (which will lead you to a page with previous customization you've played). The rules to win are pretty easy to learn. First to three points: Burst Finishes are worth 2 points and Survivor Finishes (outspinning the opposing Beyblade) 1 point. To adjust your Launcher, slide it across the screen to your liking. While the feature is there, however, it really isn't entirely useful or necessary to win a BeyBattle. To launch, fill the meter below by tapping the needle when it enters the ''hot zone''. This will give you the edge in stamina as well as a spin bonus. There are also other ways to get the upperhand in battle. These include Energy Orbs and Avatar Attacks. With the new Beyblade Burst app came with it a ton of name changes! Victory Valkyrie is renamed Valtryek V2. Storm Spriggan is renamed Spryzen S2. Kaiser Kerbeus is renamed Kerbeus K2. Rising Ragnaruk is renamed Roktavor R2. Layers are renamed Energy Layers. Discs are renamed Forge Discs. Drivers are is renamed Performance Tips. All of these pieces are available in game. While some of the names pretty interesting, we haven't really seen any amazing reactions to them. Most of these will be definite changes for those who had adjusted to the original names. Doomscizor was without a doubt the craziest to most! That's it for now, Bladers! What do you think of all these new — yet overwhelming — changes? Hopefully we'll be seeing some physical ones at stores in the near future! Hey World Bladers! We're back with another recap of all the awesome news from CoroCoro magazine in Japan this month. This month we received our first confirmation on how exactly the Beyblade Burst S-series remakes will be released! 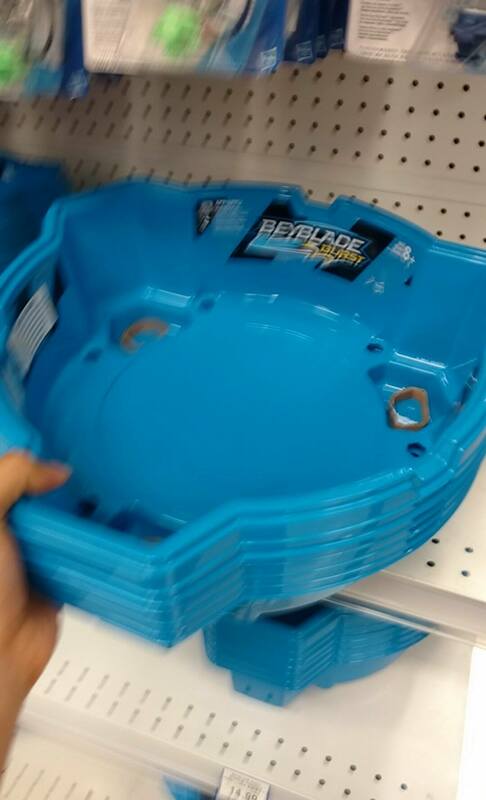 For readers who aren't familiar with what makes this such a big deal: the S-series from the first generation of plastic Beyblades are some of the most iconic releases in Beyblade history, and their designs are getting faithful recreations in the current Beyblade Burst system, roughly fifteen years later. 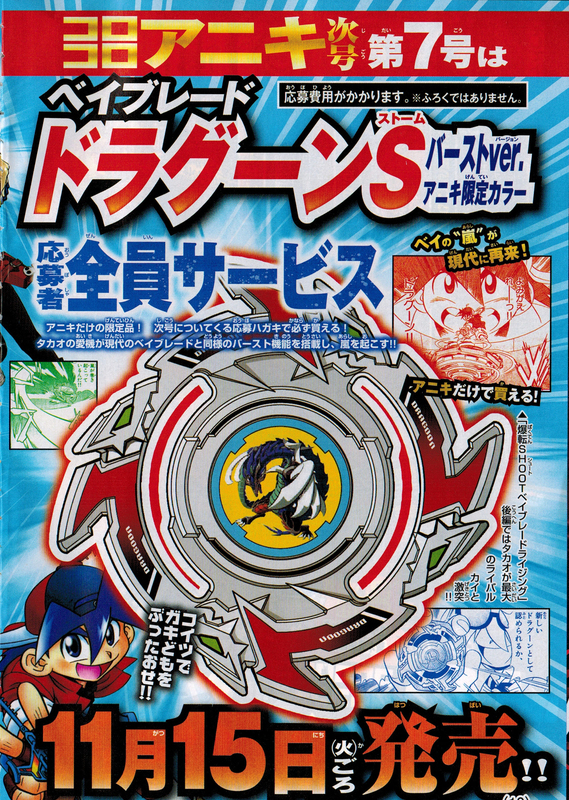 Driger S.H.F will be included as one of eight possible Beyblades you can receive from B-61 Random Booster Vol. 4, which will be released in the second half of October. While many Bladers were hoping it would come with an update of the metal change tip-design, none of the S-series remakes include new Disks or Drivers. 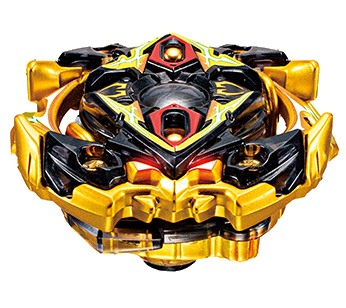 Metal change was a design last seen on Death Gargoyle MS from the Heavy Metal System, which, like Fusion, switches between a fast-moving attack-mode and a stationary stamina-mode depending on the angle of the tip on the stadium. However, it both traditionally moves faster and has higher stamina than Fusion and it's Metal Fusion equivalent, FS. A well-used Driger S with Metal Change Base. 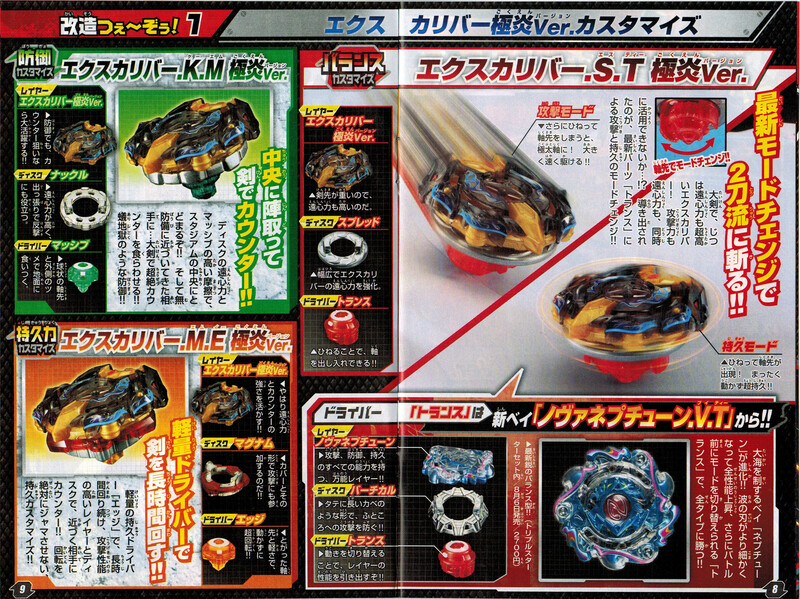 Draciel S.C.P will be available as one of eight possible Beyblades you can receive from B-67 Random Booster Vol. 5, which will be released in December. 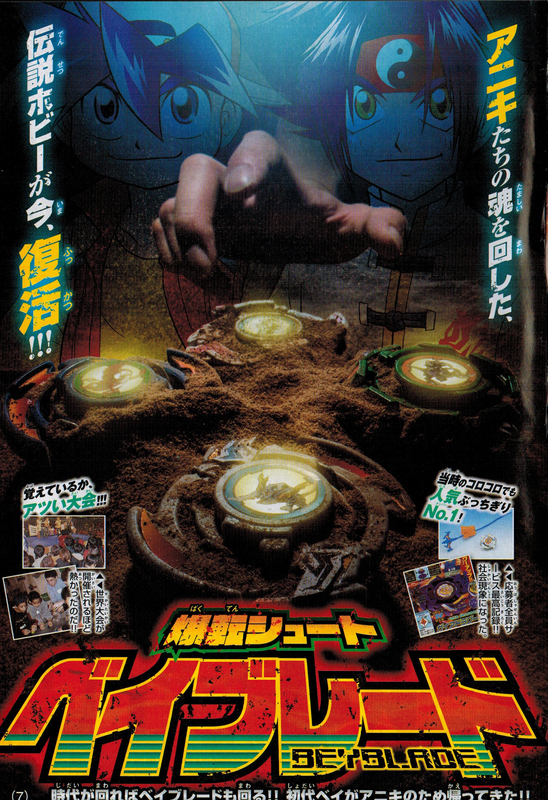 Dranzer S.S.T will be exclusively sold at stores that host official Beyblade tournaments (WBBA) in Japan, for ¥972. Trans is a currently unreleased Driver, but it will be released before Dranzer S.S.T drops — more on this later in the article. This will be available as a mail-order exclusive item in the December issue (release on November 15th) of CoroCoro Aniki in Japan. However, since this is being advertised as an exclusive recolor, it's likely Dragoon .W.X will get another release, though we don't yet know in what form. A Defense-type that supposedly uses its large horn to knock back opposing Beyblades, Unlock Unicorn .D.N (Down Needle) will be released as a booster on August 6. In addition to Victory Valkyrie U.Q. (Upper Quake) and Chaos O.G. 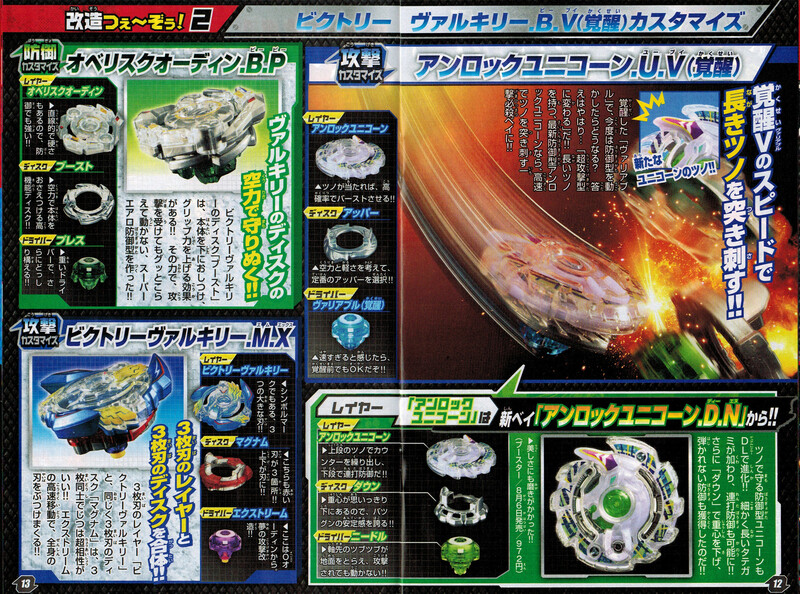 (Oval Gyro), the Triple Booster set will contain the (almost) all-new Nova Neptune .V.T (Vertical Trans). On the right: Xcalibur .S.T (Spread Trans), along with a diagram on how Trans works. Below, a breakdown of Nova Neptune .V.T. Trans can switch between a flat and sharp tip by rotating the tabs on its base. This month's CoroCoro also contained a bunch of suggested combinations, most of which are probably not very good. But if you'd like to see them, along with the rest of this month's CoroCoro scans, you can check them out here. Big thanks to @[Kai-V] for providing the scans!